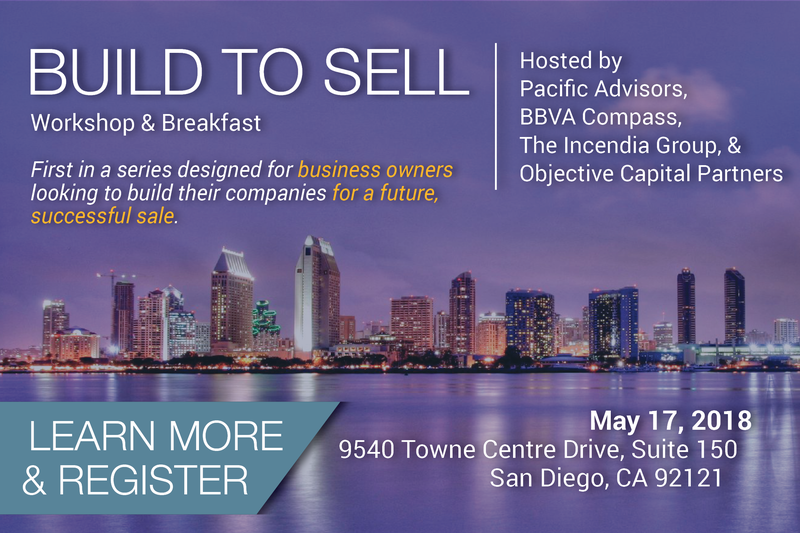 Join Pacific Advisors, BBVA Compass, The Incendia Group, and Objective Capital Partners for our second workshop in our Build to Sell series. Designed for business owners looking to build their companies for a future, successful sale. Register Now!